Windekind Farm is located at the end of a winding town road. Passing through a tall spruce forest, you emerge into a spectacular secluded valley surrounded by the lofty Green Mountains. Looking East from what is now the Plantation toward the existing farm house. These boys were members of the George Family, the one on the right visited Windekind five years ago after s successful career in the Army. We always tend the land with the old farmers in mind, they lived a challenging life her and we find signs of their lives everywhere. Vermont's hillsides were settled in the mid ninth century and the land was opened up for raising sheep and small diary operations. 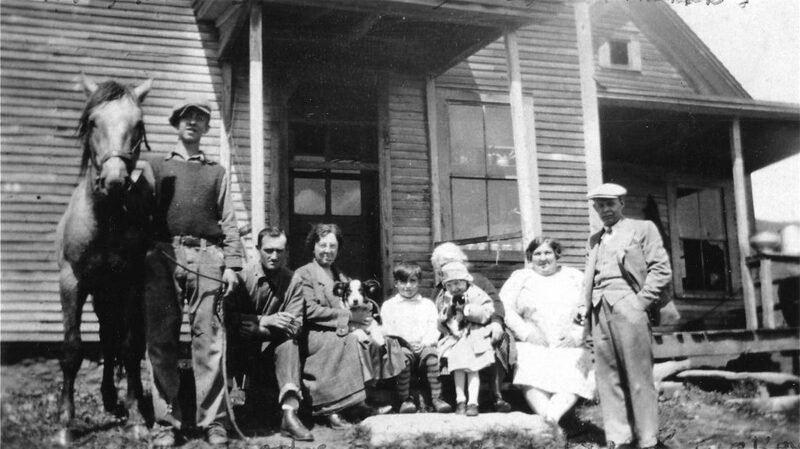 By the middle of the 1930s time was running out for the old hillside farms, soils were depleted, more modern farming practices required capital and the Depression was in full force. Places like Windekind were walked away from only to find a new lease on life as people after the war sought end of the road locations as a means to flee city heat. 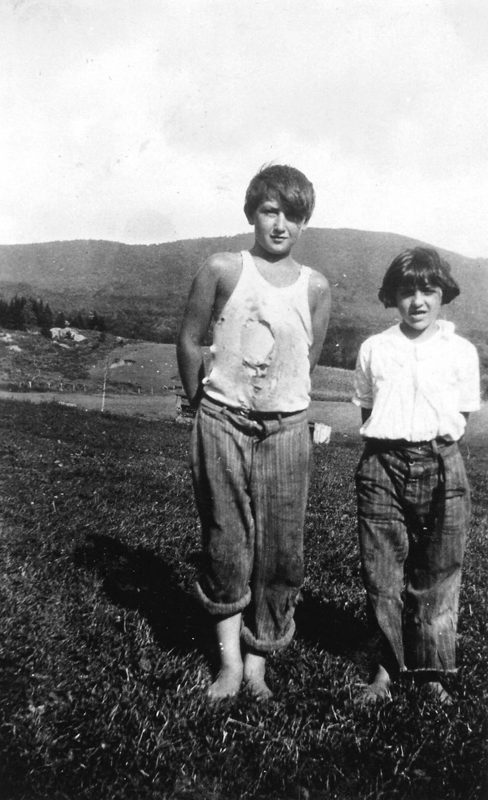 A second transition occurred in the 1960s as back to the landers like Marijke and I came to Vermont to settle in at places like Windekind and make a new life in what we considered paradise. Brooks, ponds, lawns, terraced hillsides, spruce forest, trails, the railroad and giant rock outcroppings are Windekind's landscape of diversity. Some of Windekind's spaces are formal; for example our classical perennial gardens while others are workhorses that produce vegetables and flowers. While still others mix wild and domestic species amongst the large rocks, brooks, and walls where the gardens and forest meet.